48 hours and 29 classes and challenges later and I'm absolutely knackered! Had an absolute blast and can't wait for the next one!!! The classes and challenges were fantastic and my fellow Mamboers were total stars! Not to mention the fact we were the winning team! MAMBO!! 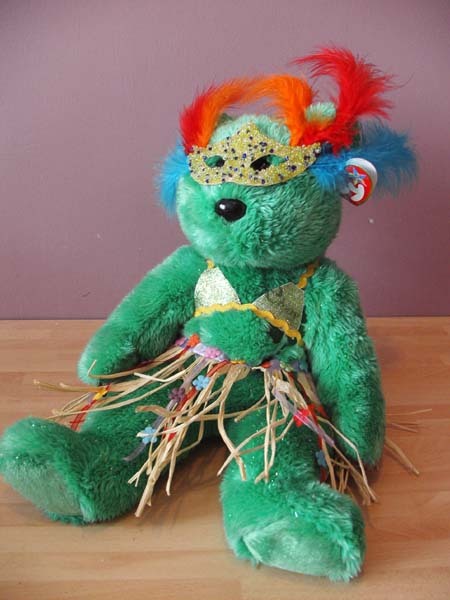 Here's a pic of my fab Mardi Gras mate sent by the lovely Jemm! Absolutely knackered after Easter! Only just recovered enough to update here!! After visiting Cholderton Rare Breeds Farm to let Lola sniff the animals, (Lola loved the pigs as usual!) we had a little party for her complete with party hats!! Had a lovely walk at Knowlton Rings on Monday as well. Still attempting to be at least a bit organised for the cyber crop! The table still looks like a bomb hit it from the weekend so I've promised myself I'll get it sorted tonight! Time really does fly.... Lola is 2 today and it only seems like yesterday we brought home that (not so) little ball of puppy fluff! Been out bright and early to get a picture of her ladyship in her new party hat! 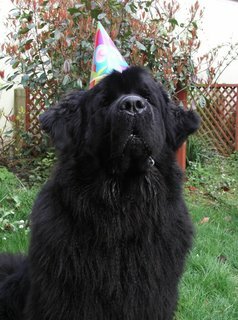 We are planning a little party later (great excuse for some photos!) 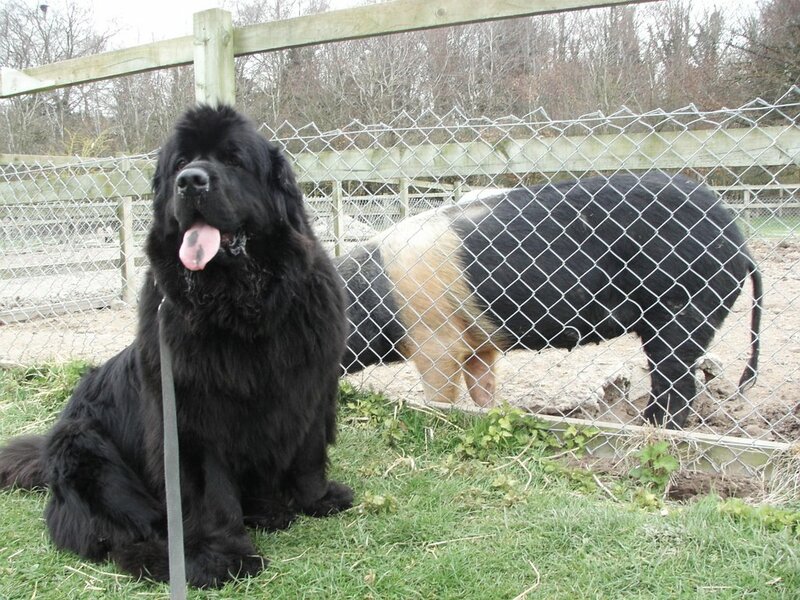 Lola's birthday trip will be to a Newfie favourite - Cholderton Rare Breeds farm near Salisbury. (More pics later!) Until then enjoy Lola in her party hat. (For those cyber cropping on UKS, this is a sneaky preview of the photo I'm using in my team kit! Really rather over excited about the upcoming Cyber Crop on UKScrappers. You can find the fabulous Mardi Gras forum here... I'm determined to be more organised this time and have stocked up on glues and one or two bits and pieces from Ally Pally at the weekend! Ally Pally was amazing! Spent a ridiculous amount but obtained some fabulous goodies including shed loads of new Queen and Co! I'll aim to take a pic of the lovely load of stash tonight! Thanks to Clare for her fab guide to adding a custom banner to a blog! Took about 10 mins and my little blog looks shiny and new!